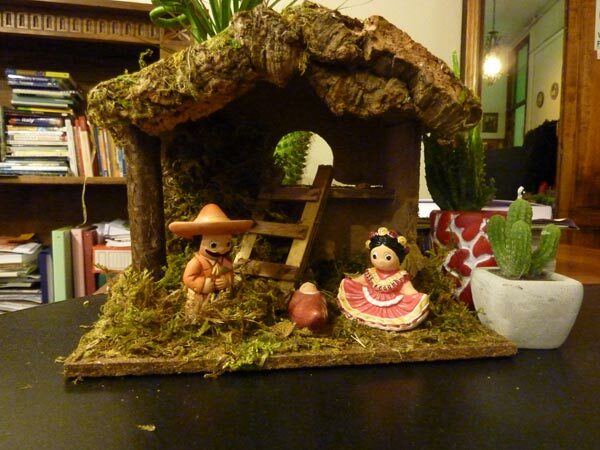 First off, my sweet Stefano gave me this Mexican-themed 3 piece nativity figures, or nacimiento. A little bit of home here in Florence. Aren’t they cute? 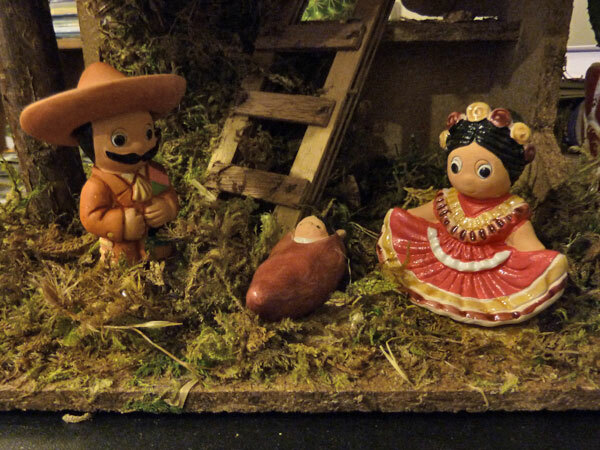 Baby Jesus in a red jalapeno pepper! I know, cheesy but it brought a smile to my face every time I looked at it. I thought the cacti around the little house were pretty appropriate :). A closer up view of the figurines. 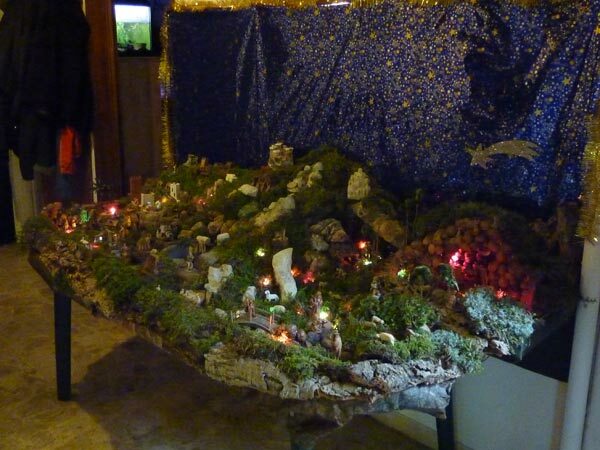 Every year Stefano dedicates about a weeks-worth of time to building this presepe or creche – definitely goes beyond the basic nativity scene. 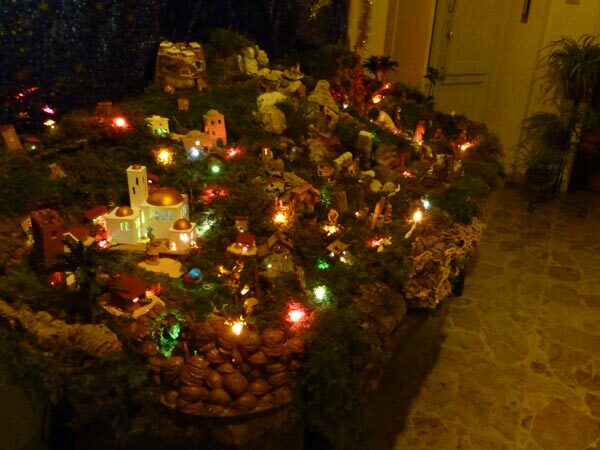 He adds caves with people inside huddled around a campfire, a mountain stream that ends at a mill with water powering the mill, whole villages with lights inside and various people going about their daily work. It is just amazing! Here is another shot in the evening with the lights on. 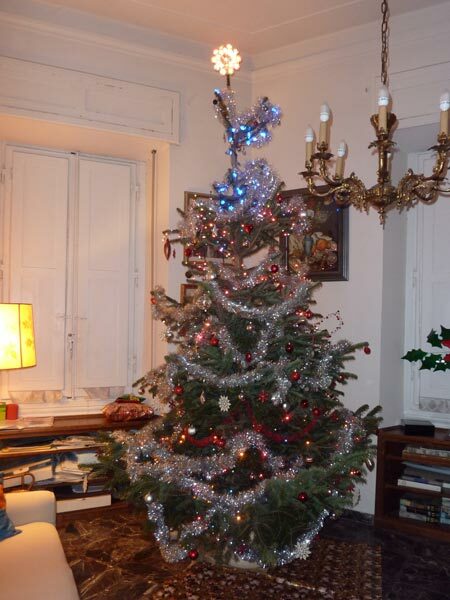 Our Christmas tree, finished right on the 24th! It was huge! 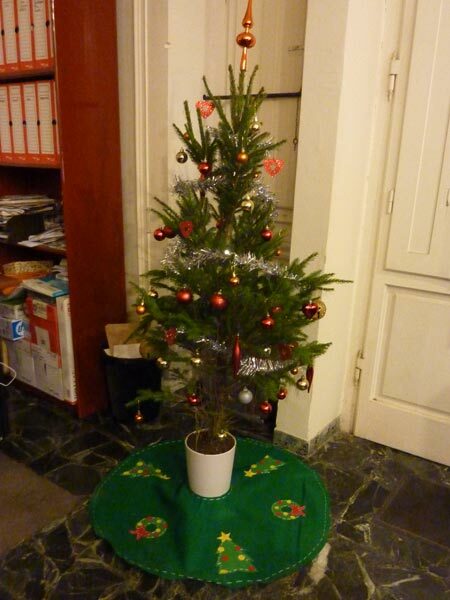 Here is the small tree in our studio, included here because I had promised Mom to show her the tree skirt I had gotten all craft-y and done this year. The large tree also needs one, a project I have to work on for next Christmas. 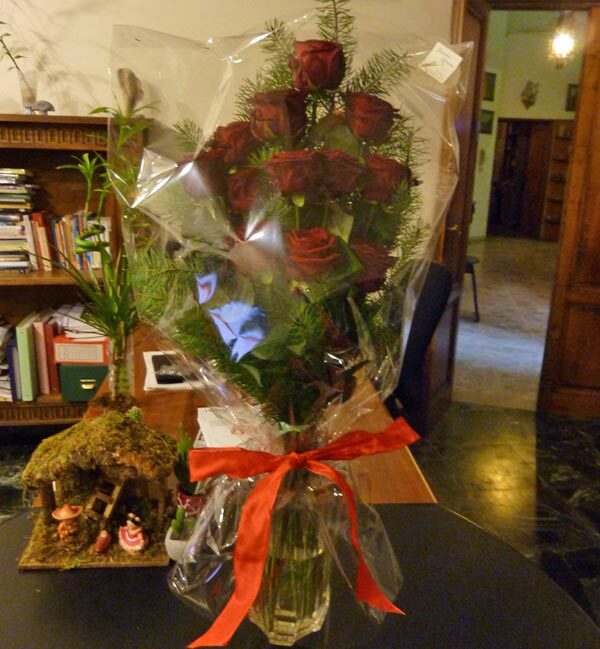 Finally, my first Christmas gift this year – a dozen red roses from my sweetheart B-E-A-U-T-I-F-U-L M-A-N!